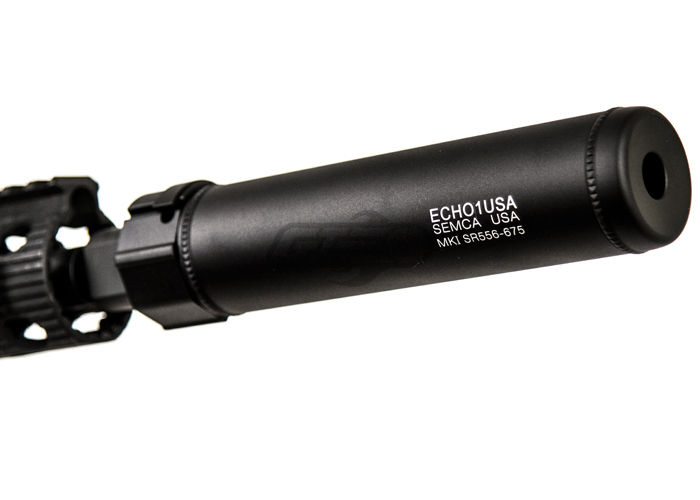 The Echo1 Mk1 SR556 7.5" Quick Detach Barrel Extension is a high quality barrel accessory from Echo 1 that is made from a high quality t6 aluminum, adding to the authenticity and feel of a real firearm. 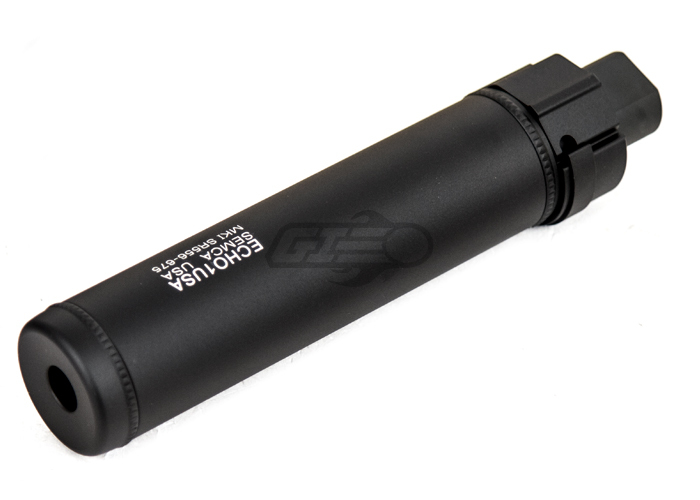 The Barrel Extension incorporates a QD feature into its design that can attached to the included flash hider that must be accompanied to use the extension. 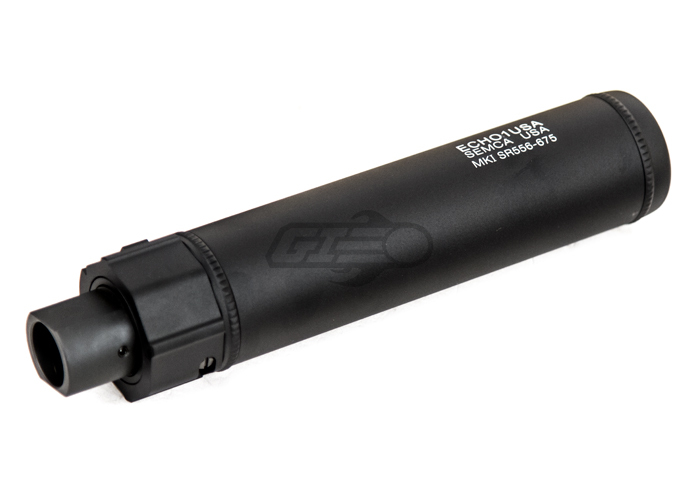 With the included flash hider attached to your rifle, the mock suppressor can be attached by simply placing the extension on the comp and securely seating it. The extension can be taken off by simply reversing the procedure, making this attachment extremely versatile for those who wish to change the look and feel of their firearms in a snap! I got this because I wanted to increase the inner barrel length of my gun. Knowing that it was QD was a pretty cool option as well as the flash hider it comes with. The trades look sick and come up at a 90 degree angle (not like the other guy's). It is a bit snug tho and I had to use a wrench to get it on all the way. Other than that this was an excellent purchase. I got this for my Echo 1 Platinum RIS M4 to cover the tight bore barrel that I installed. It has a great finish to it and the black color matches well the the gun! I had no problems with installing this, just pop in and you are all set. Overall very satisfied with the purchase. other than that, pretty happy with it. Just to let you all know. This will work on all Krytac Trident MK2 and it fits my CRB and PDW perfect. Hope this helps as I could not find any info on this subject. So pick one up there very nice. As long as the gun has a 14mm counter clockwise threading. Is the included flash hider a 14mm- or a 14mm+? CCW-, or 14mm negative, threads. Yes, however, installation will require removal of the orange flash hider which comes on the gun from the factory. <br><BR>Keep in mind that any modification to the gun will void Airsoft GI/Manufacturer warranties. Can this fit a xcr-l? and what is the highest compatible spring I can put into it? I have an umarex mp7 and i was not entirely sure if this would fit my barrel if you could let me know I'd appreciate it. This will not fit your airsoft gun.